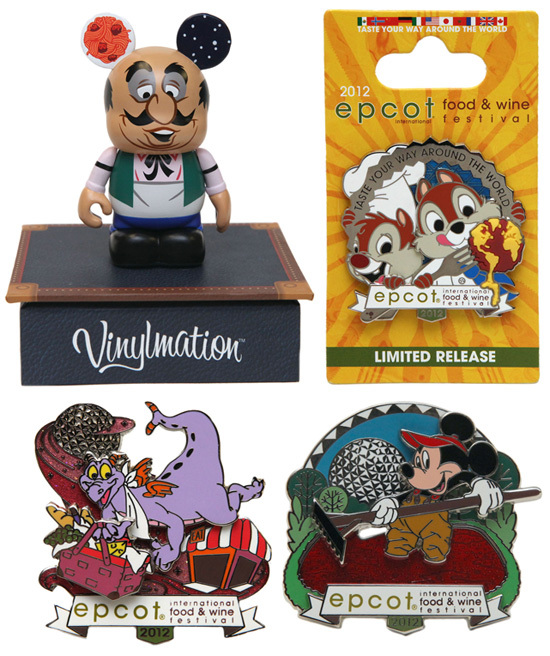 The Epcot International Food and Wine Festival special events and marketplaces have yet to be revealed but some of the merchandise that will be sold has been. Disney Parks Blog has shared some of that with us. We previously reported on the new Chef Duffy but here is a look at what has been added. This years artwork, created by Noah, is the signature artwork for all this years merchandise. 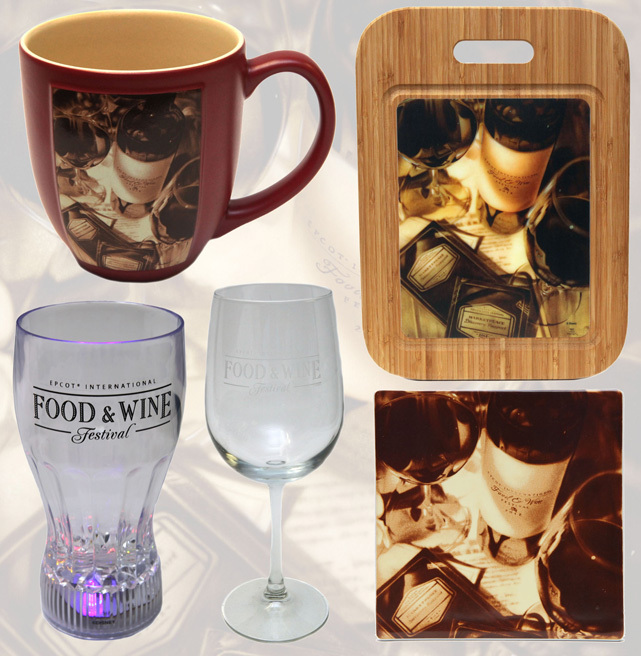 It will be used on coffee mugs, cutting boards, trivets, spoon rests, coaster and more. 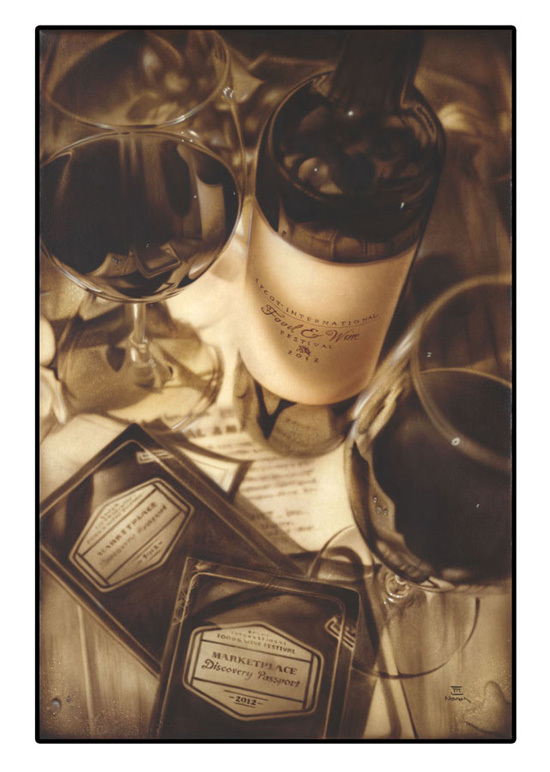 It was mentioned but I would guess this will also be the artwork used around the park and for the Marketplace Passport. How cool is the light up glass! Now you can skip using the glow cube at home. 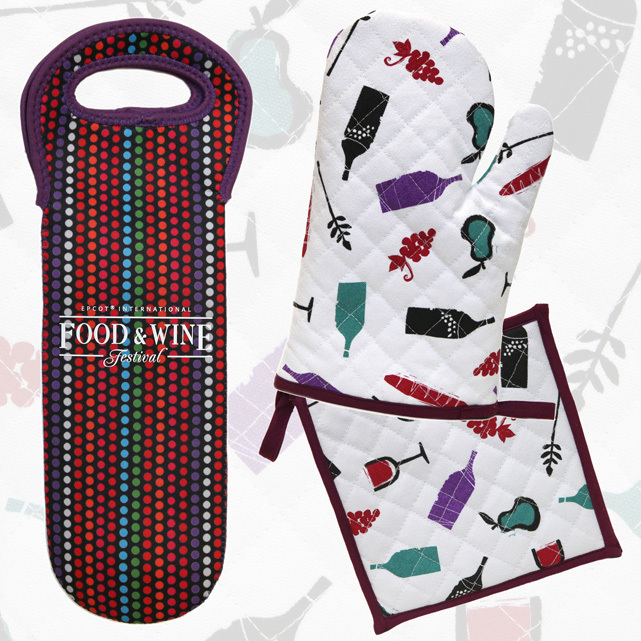 Oven mitts, pot holders and other kitchen linens will come in "Stitch", a new artwork for this year. Vinylmation fans will want to get their hands on Tony, from "Lady and the Tramp". The limited edition release number for this is 2,500. There are three limited edition pins. Mickey in the cranberry bog and Chip and Dale available to everyone. For DVC member, Minnie Mouse (not pictured) and for Annual Passholders, Figment. I'll be picking up Figment (I collect him every year!). These will be available at the Festival Welcome Center and around the World Showcase. Hopefully we'll be seeing some of them on DisneyStore.com. Click here for more information on the festival and remember to keep checking back for more updates on the 2012 Epcot International Food and Wine Festival!